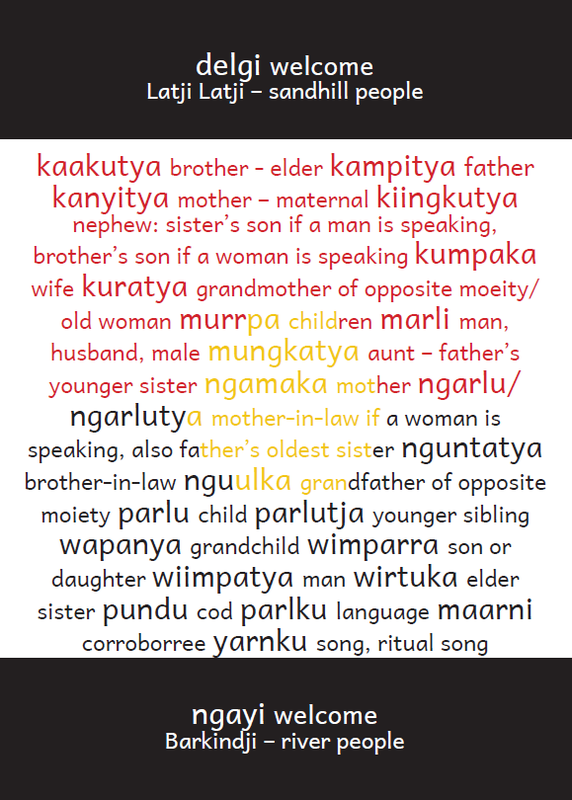 In July, for the National Aboriginal and Islanders Day Observance Committee (NAIDOC) week theme “Our Languages Matter”, Debbie worked with community leaders in Mildura to assist in setting up an outreach activity to encourage community knowledge about Aboriginal languages (including Aboriginal English) in the area. The activity spanned a whole day, and included talks on the NAIDOC week theme and linguistics; exploring community knowledge of traditional languages and Aboriginal English; an introduction to resources available online; an introduction/demonstration of different articles (Australian Institute of Aboriginal and Torres Strait Islander Studies (AIATSIS), Living Archive of Aboriginal Languages); and listening to Barkindji/Paakantyi recordings. The small grant covered the cost of catering for the day, and the purchase of some published resources, and the publication of some postcards which include local art and words in Aboriginal English and Barkindji.